Plantar wart surgery is possibly one of the best solutions to deal with this annoying and painful wart. There are different kinds of names of the warts, depending on the location where it grows. 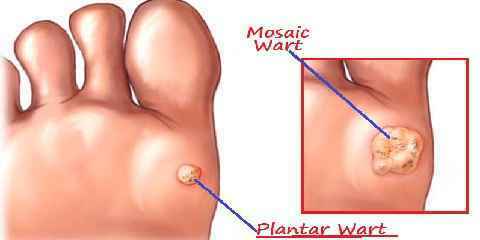 In plantar warts, the warts develop and flourish on the foot surface or the sole. These kinds of warts often flourished in the areas where friction and pressure take place constantly. Just like the other warts, the issue is caused by the Human Papilloma Virus. It will infect the superficial or top skin layer, creating a thickened skin like the callus on the affected area. When it is located on the areas that get constant pressure, it will be tender. Basically, warts will resolve on its own. However, the painful one can be annoying – not to mention that there is no exact prediction or calculation of how the warts can last. After all, the plantar warts can be quite painful which will affect your ability to walk or move around. Some people who prefer the operation decide this treatment because it is considered more effective than the others treatments – not to mention that it is faster and less painful. Although a lot of people that all wart removal surgeries are the same, it is not the case. When compared to other wart surgical treatments, the surgery for plantar warts can be a bit complicated. The problem is, this kind of wart is enclosed with a thick skin. In order to cure the wart, you need to remove the thick skin first, and then the treatment can run efficiently. Of course, there are other possible treatments to deal with the issue, but they generally take longer time. Whether you have to remove the thick skin or not, it depends on the type of treatments and remedies. Don’t forget to tell doctors about your medical history. In case you are having a current medication, inform them about it. In the event that you will have to stop the medication, that’s up to your doctor. You will be informed of when to stop eating or what kind of food you should avoid. You will need someone to drive you home after the surgery because it is most likely that you won’t be able to use your feet afterwards. It is also possible that you will have to take some days off from work and have an arrangement for someone to help you at home. Stress should be avoided because it may delay the recovery progress. In short, you should have a thorough discussion and information with your doctor if you want to avoid further issue and side effects. 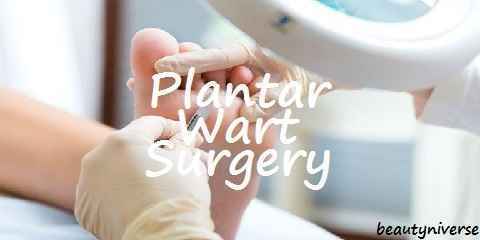 The plantar wart surgery may be costly and complicated, but it can be worth it if you plan everything carefully.